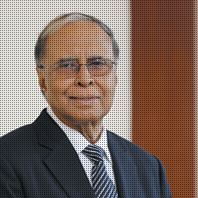 Dr. Subrahmanya Ramamurthy is an economist with over 40 years of experience in about 30 countries. He is a founder Director of the Cognizant Foundation joining its Board in 2005. He has been working with the International Monetary Fund (IMF) since 1991 as its resident financial advisor in a number of countries and also on its technical assistance and diagnostic missions. Was also a consultant with the World Bank, the Asian Development Bank, and the Arab Monetary Fund. Prior to 1991 he was first with the Commonwealth Secretariat, London, and later the United Nations. Has contributed a number of articles on budget matters to the professional journals, Madras School of Economics publication etc. and has given lectures at the Joint IMF-World Bank Institute at Vienna and special workshops of the Arab Monetary Fund. He has a PhD from the USA and is also a Fellow of the Chartered Institute of Secretaries, UK, and a Fellow of the Association of Chartered Certified Accountants, UK. His recent book (Public Finance- How to fix weak governance and obsolete systems) has been well received by specialists in economics and finance in the international bodies and various countries.